This Rio surf report has forecasts for most hotspots around the state. There is also some general info about the conditions throughout the year: When is it best to surf? As you can see November until February is pretty flat, it then becomes better; the best months are July and August. Note that this is based on averages and that some beaches have better circumstances than others. The best waves in the state you probably have in Geribá (Búzios), Itaúna (Saquarema), Itacoatiara (Niteroi) and Prainha (Rio). Ricosurf A site with lots of surf related stuff, what is of most interest here is the Boletim das Ondas (English: Wave Prediction) in the menu. Just click Rio de Janeiro and most major breaks in the state will appear. You get a good idea of the surf conditions and as well updated photos and live cams for some. As you can see it has quite a few reports all over Brazil as well. Unfortunately only available in Portuguese. Magic Seaweed This is a international site with loads of reports and forecasts from all over the world. You’ll find the Rio de Janeiro beaches under Brazil-South; unfortunately they are only listed by name of break so you have to know that beforehand. The reports and forecasts are very detailed, it doesn’t get better than this. 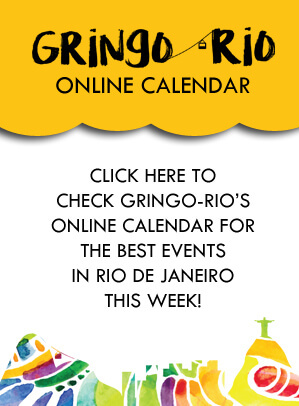 It’s a great resource if you’re planning to surf Brazil. Surf Forecast This site also offers surf forecasts from all over the world. The information is very detailed (and to me a bit messy) and for sure valuable for someone who can read it. Most importantly it has the Arpoador break which is where this link will take you by default; Arpoador is the city break, located bang smack in the middle of everything. It’s a great site and also has lots of breaks around Brazil. Surfline Massive with loads of beaches and cams from all around the world and most importantly many beaches in Rio. 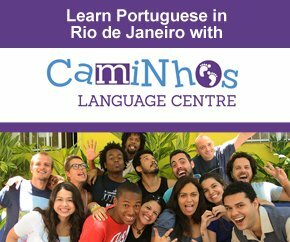 To find the Rio breaks: Go to Cams & Reports, South America, Rio de JaneiroLitoral Leste/Rio de JaneiroLitoral Sul. The reports are basic. a bit selly perhaps. Waves A Brazilian site with updated info on breaks around Brazil. Easy to navigate! Macumba Surf A large and nice surf cam of Macumba out in Recreio! Below are widgets from Surflines site. It is basic forecast with wind and wave conditions. Not so detailed but you have most beaches of importance in the state of Rio.